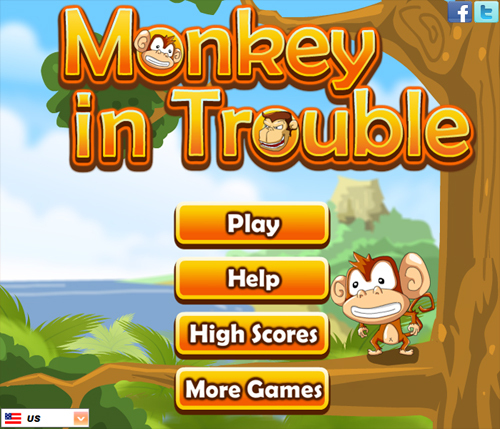 Fun platform game: let your monkey collect all the fruit. Collect all the fruit in a level by letting it fall down on the lowest level. Walk over fruit to let it fall down. Move around with the arrow keys and shoot bananas at the big Ape with the space bar.